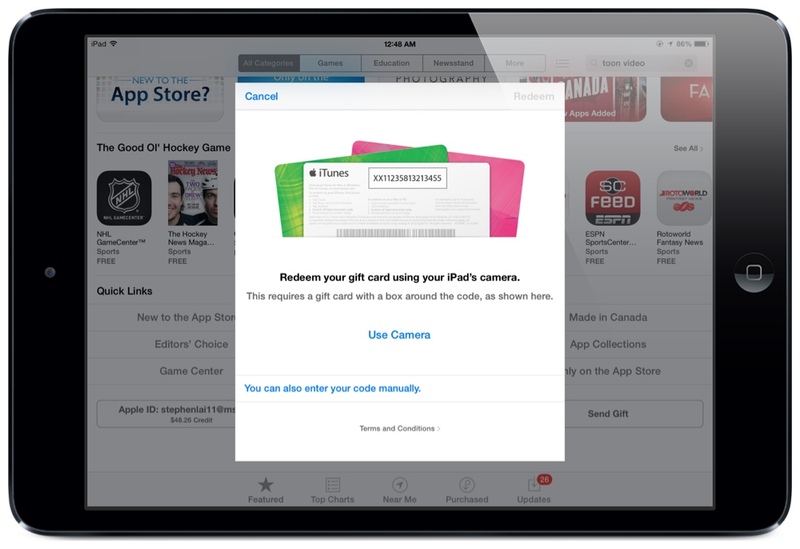 Here is a handy new iOS 7 feature: You can now scan the barcode of an iTunes/App Store gift card with your iPad/iPhone camera to redeem into your account. This feature was previously made available on newer Macs, but it wasn’t until IOS 7 that we can now do it from our iPads. 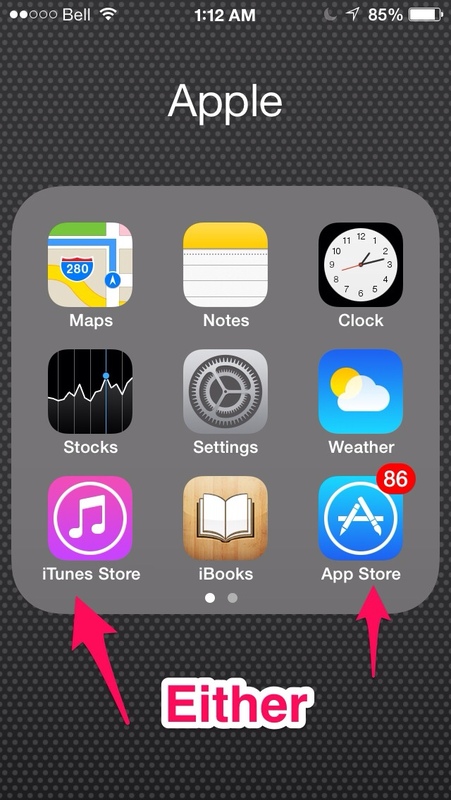 Or, saving a step, go instead to iTunes Store, then scroll all the way down, and the Redeem button will be there. Looks like you will need to sign in the App/iTunes Store with your Apple ID password at this point. You will then be able to redeem using the Camera or copy and paste. Remember, always purchase these gift cards when they go on sale! They are often available for 20% off. It is a no-brainer to buy these to save money on Apps, Music, Movies and even Netflix and other subscriptions! This will come in handy whenever we receive (or purchase) gift cards. Now we don’t have to manually type in the long codes. As you can see from the image above, you can still choose to enter the code in manually (say, if you won or were given a promo code online) When sites such as teachingwithipad.org give away promo codes, simply copy and paste it here. Previous Post Evernote for Dummies: The App to Finally Organize Yourself!